Toronto is home to many dispensaries that provide safe access to a variety of medical strains, topicals, and so much more. Are you new to the beautiful city of Toronto? Or, are you just looking for a different spot to purchase your pot? If so, then you’ve chosen the right place, especially if you love weed. These dispensaries provide safe access to a variety of strains, topicals, and so much more. With the help of friendly, informed staff, you should have no trouble finding products that work for you. In case you need a good place to start, here are the 10 best dispensaries in Toronto. If you want a safe and friendly place to buy your medicine, then Eden is where you need to be. Located on Queen Street West and Bellwoods Avenue, this dispensary offers a broad range of high-quality flower. Eden has also won numerous awards, including best dispensary to just chill out. Canna Clinic has seven locations in Toronto, so you’re likely to find one close to you. From the excellent service to the comfortable atmosphere, you can find it all at Canna Clinic. They also have daily deals, including Smokin’ Sunday, where they offer $10 off all concentrates. For the most desired strains from all over the world, be sure to stop by Canna Connoisseurs on Church Street. Not only is the shop gorgeous, but the staff is also kind and knowledgeable. While this place is a bit on the expensive side, you certainly get your money’s worth as far as quality goes. 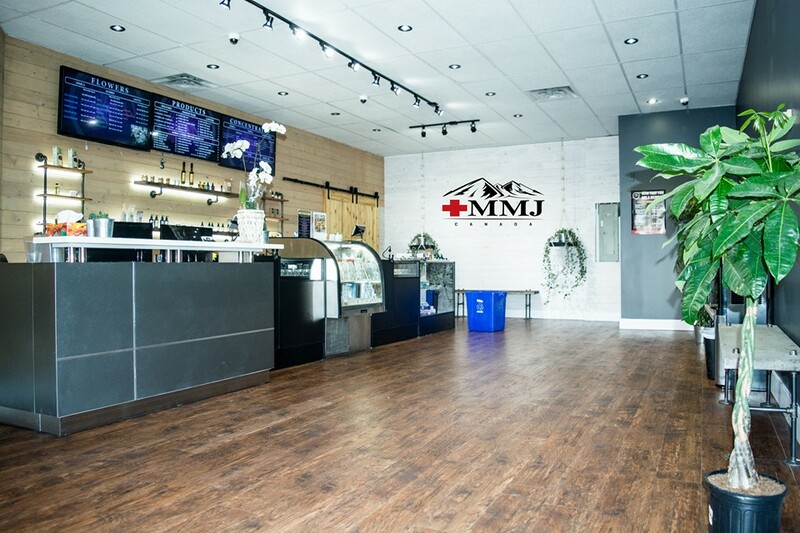 MMJ Canada may be small, but they sure are passionate about what they do. During April of 2016, they opened two locations in Toronto. One in Bloor Court Village, and the other in Yorkville. In addition to their fair prices, you’ll get to enjoy a clean and professional environment. As can be seen, WeLeaf in Bruyeres Mews has quite the setup going on. But their shop isn’t the only way to get your hands on their products. You can also have them delivered right to your door! And if you live in the Greater Toronto Area, you will receive free shipping via their door-to-door delivery service. Dedicated to health and responsibility, National Access Cannabis on Danforth Avenue can quickly and efficiently help you find the medicine you need. From the moment you walk in, you feel welcomed by their outstanding staff. Notably, they also offer free services to veterans. While Queens of Cannabis isn’t a storefront, they do deliver. They also happen to be Toronto’s only all-female, LGTBQ positive same day delivery service. 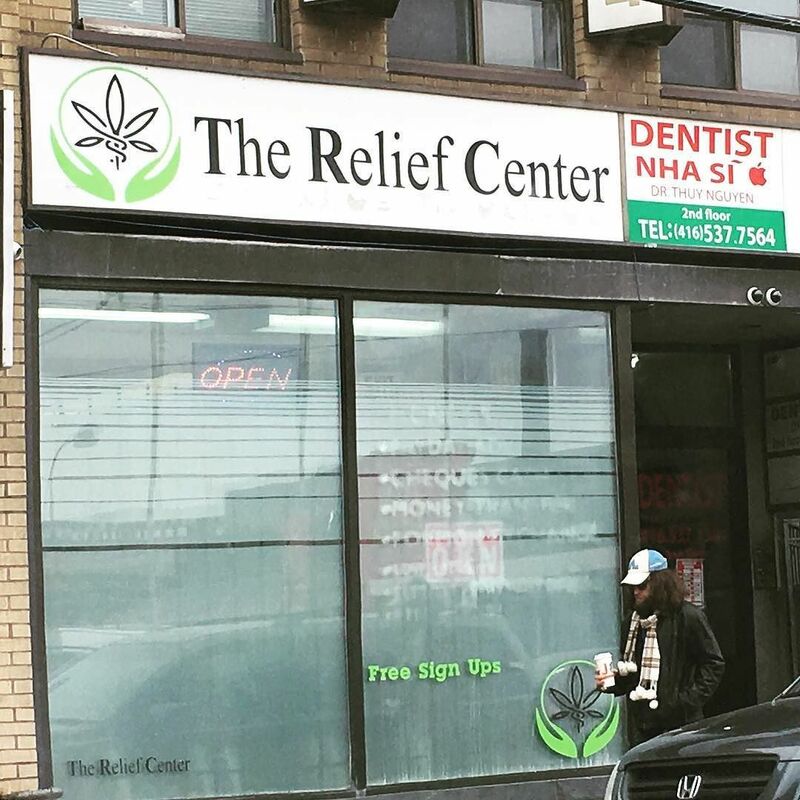 Located on King Street, The Relief Center is known for their excellent prices, great service, and helpful, friendly staff. This isn’t a dispensary you’ll want to visit just once. Most of the people who have been there say that their experience was so exceptional that they don’t feel the need to go elsewhere. If you’re looking for the best of the best as far as strains go, then Weed The North on Eglinton Avenue has you covered. Between the professional staff and pleasant atmosphere, you certainly won’t leave feeling disappointed. 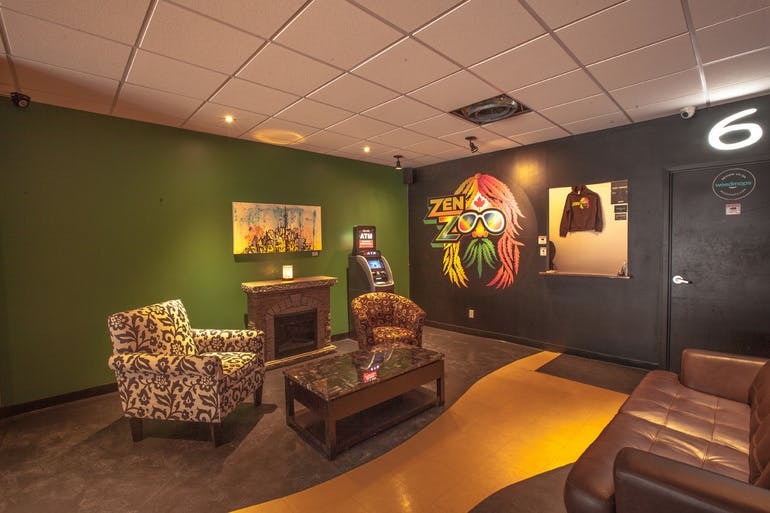 ZenZoo on Queen Street is the most classy, upscale dispensary in all of Toronto. From hashish to delicious candy edibles, you will find a wide selection of products. And if you’re looking for a deal, they frequently provide special offers, some of which are limited-time only.